Emily MacLean is the Junior School Deputy Head (Innovation & School Excellence) at an independent PYP school in Melbourne, Australia. 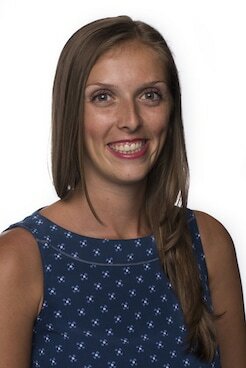 Emily has previously taught in IB World Schools in Canada, China and Singapore. Emily is enthusiastic about teaching inquiry through the conceptual lens to foster student voice and leadership in the classroom. She believes in a holistic approach to education and actively contributes to the school community by facilitating co-curricular activities such as dodgeball, Minecraft, Digital Media Team and dance. She regularly leads professional development sessions using best practice, works one-on-one with teachers to build capacity and co-teaches in the classroom. Emily is a Google for Education Certified Innovator (GUR14), a Google for Education Certified Trainer, Apple Distinguished Educator (Class of 2015), Microsoft Innovator Education Expert, BrainPop Certified Educator and Common Sense Digital Citizenship Certified Educator and Ambassador. Born and raised in Canada, Emily completed her Bachelor of Science (Psychology and Sociology & Social Anthropology) from Dalhousie University. She also holds a Bachelor of Education (Primary/Junior) from the University of Ontario Institute of Technology. She has additional qualifications in Reading, Special Education, Kindergarten and Intermediate Mathematics. Emily holds a Masters of Education (Information Technologies) and a Masters of Education (Educational Leadership) from Charles Sturt University. Emily's current areas of particular interest include teacher well-being, professional development, student voice, education technology and cognitive coaching. How NOT to Search Like a 5th Grader,Want to Learn? Let Me Play!